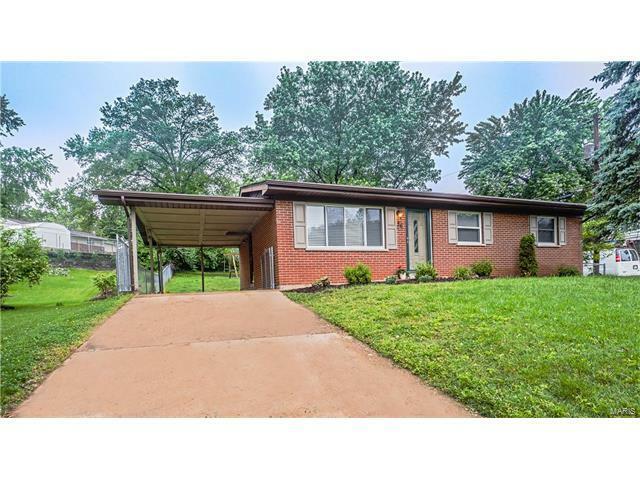 Don't Let This One Pass You By...You Have to See Inside to Appreciate This Beautifully Updated 3 Bed/2 Bath Ranch. This Lovely Home Has Been Freshly Painted and Boasts Newly Refinished Hardwood Floors. The Spacious Living Room Leads to the Breakfast Room & Updated Kitchen w/Ceramic Floor, Custom 42 inch Cabinets, Subway Tile, Granite Counters & Stainless Steel Appliances. The Master Bedroom Offers it's Own Private Bath Featuring a Vessel Bowl Sink & Shower w/Subway Tile. Hall Bath is Also Updated w/New Vanity & Shower w/Subway Tile. The Finished Lower Level Adds Even More Living Space with Rec/Family Area, Newer Carpeting & Plenty of Storage Space. The Backyard is Level & Private with a Large Patio Great for Relaxing. Updated Lighting, White 6 Panel Doors, Insulated Windows, and a Newer Roof are Just Some of the Updates this Magnificent Home Has to Offer. Great Location and AAA Rockwood Schools. There is Really Nothing Left to do but Move in and Enjoy! !